Today, I’m bringing another fresh summer salad to your kitchen. This salad is a no brainer to pull together. Simply combine the ingredients, then toss and serve. When using leftover rice, this dish comes together in minutes. It also looks quite pretty, (you eat with your eyes first, right)? Brown rice can easily be used in this dish, but my clan prefers white. I use fresh Michigan sweet corn in the summer months, as it would be a shame not to. If you make this dish in the winter months, use your favorite frozen corn. Just make sure to thaw it first. This salad is a great compliment to your favorite Mexican entree. It’s also wonderful as a base for a pork carnitas burrito bowl. (Hint, hint. A pork carnitas recipe is coming soon). Add the ingredients to your shopping list for your next backyard fiesta. Your guests will thank you. I hope you enjoy this recipe as much as I did. I make it often. 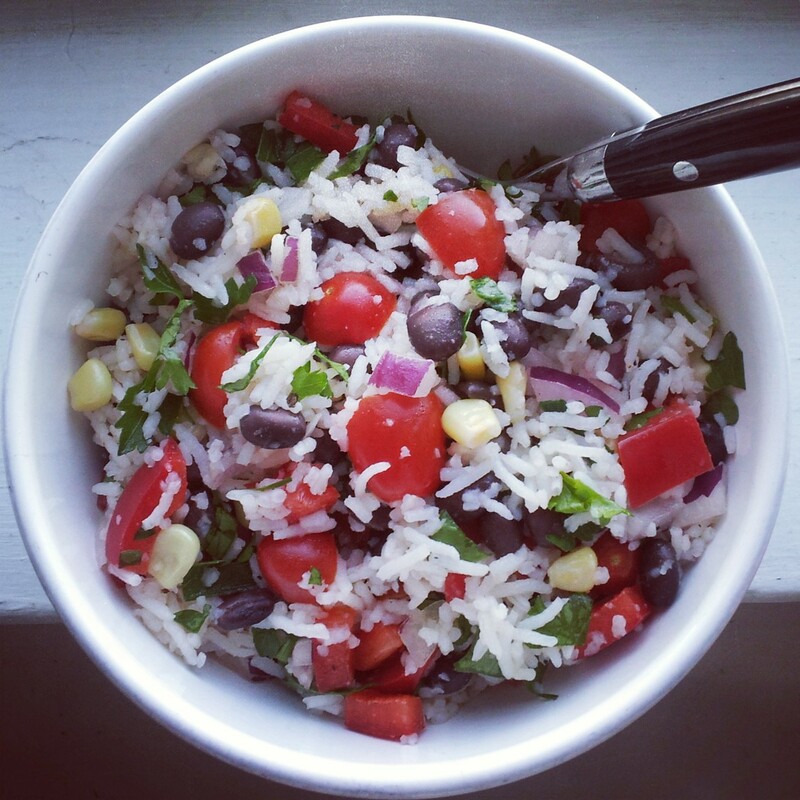 Combine rice, black beans, corn, red bell pepper, cherry tomatoes, red onion, scallions, and parsley in a bowl. Wisk together lime juice, olive oil, salt and pepper. Combine. Toss. Serve, and devour.